2 liquor bottles- clear glass. I have two bottles I need to know about. 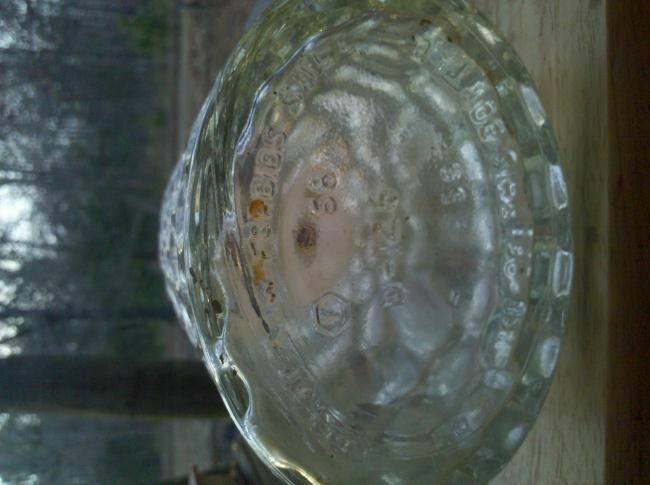 First one has little oval shapes all around and the quote on the bottom " federal law forbids sale or re use of this bottle", a small letter F with a hexagon shape around it. The numbers read D-126, 68 59 and there's a small 7 off to the side. 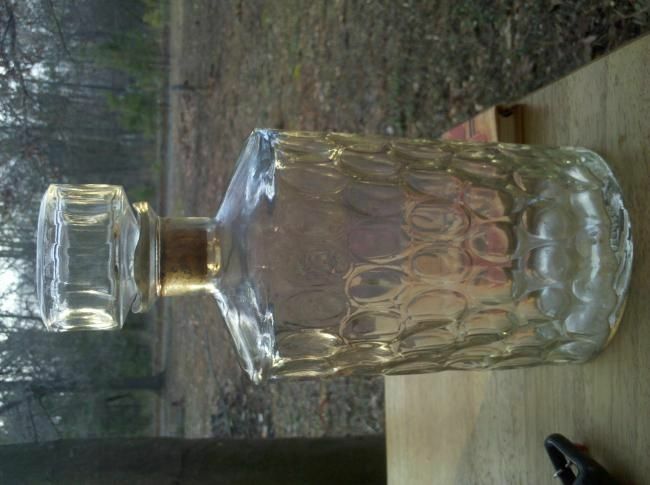 This is a mid 20th century bottle - the 68 or 59 could likely refer to the year of manufacture, as in 1968 or 1959. The D-126 is telling of the company whose product was in the bottle. D is for distillery and 126 is most likely the Seagrams Whiskey brand.